Since 2005, I have been participating in artist residencies in National and State Parks. 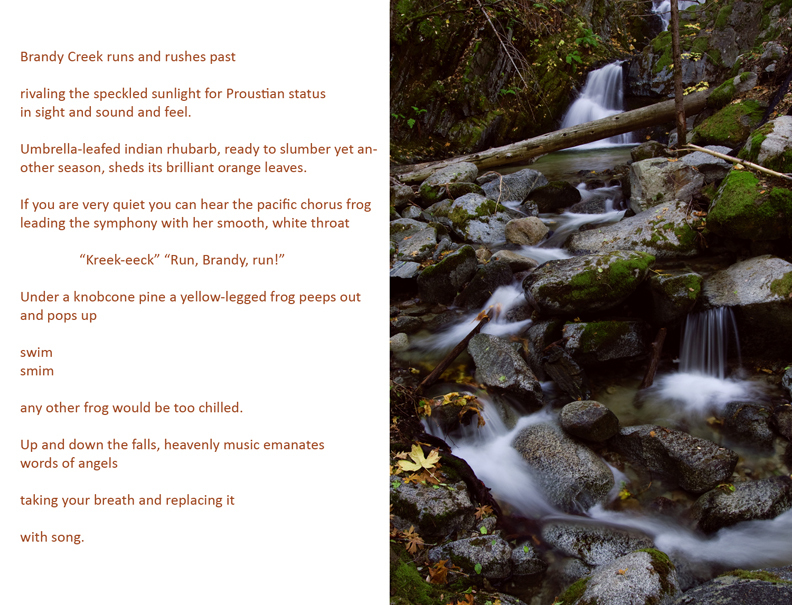 Over the years, I developed a poetry/photography workshop for both children and adults. Participants of all ages hike for up to 3 hours (based on ability), during which they pause multiple times for writing exercises, and take on shooting assignments in between stops. Each student comes away with a series of poems in cinquain (five lines) and a matching set of photos, presented to the park community. The integration of words and image is a very successful way to foster a relationship with our natural surroundings. Teaching both children and adults to write simple poems, using descriptive vocabulary about native birds, plants and animals can build learning connections between habitat and the senses (sight and touch). This offers a deeper relationship with the land than that of a bystander or simple tourist. 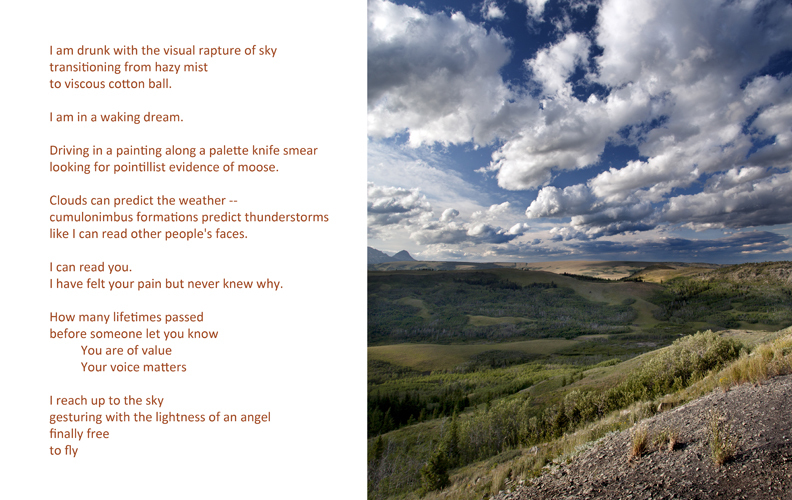 Creating pairings of photos & poems of the park enable the telling of personal stories of an experiential nature, fostering the link between real life landscape and geological and natural history. In 2011, at Glacier National Park, Montana, I worked with the local Boys & Girls Club and created a presentation which is now available to view on the Glacier Site, click [here]. The Poetry-Photography Project "Over the River: Poetry and Photos by Helene Fischman" was launched at Urbano Cellars Winery & Gallery in Berkeley, California in February 2012. 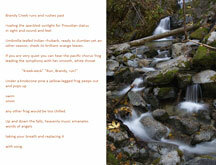 This exhibit features my photos and poems from seven different Park Artist Residencies. Announcement linked [here].